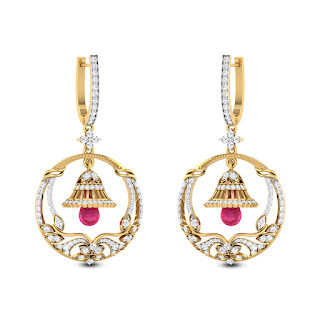 Jhumkas are timeless jewellery ornament which fashion never comes to an end. They are well known jewellery ornament from royal emperor era till now. 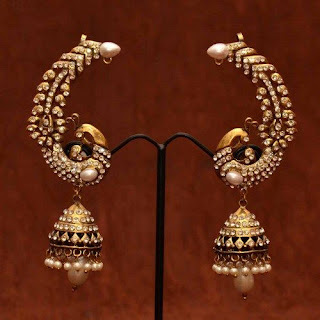 Traditional antique jhumkas are gold conical shape earrings which are worn with the traditional apparel. 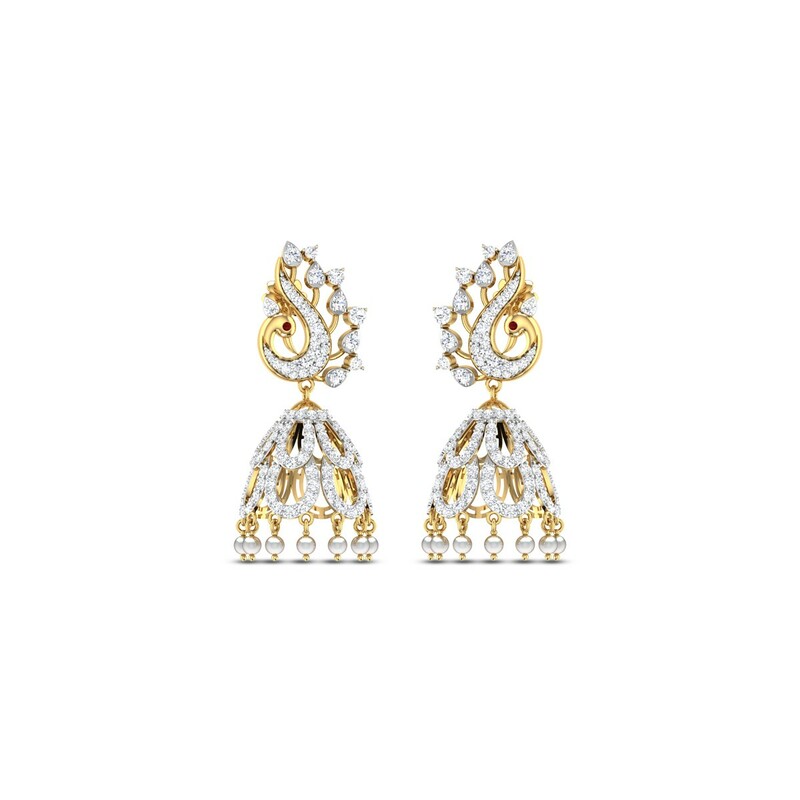 The richness of these earrings is due to the embellishment of semi-precious stones like ruby, emerald, coral, sapphire, opal, pearls and many other stones which gives a distinct look to them. 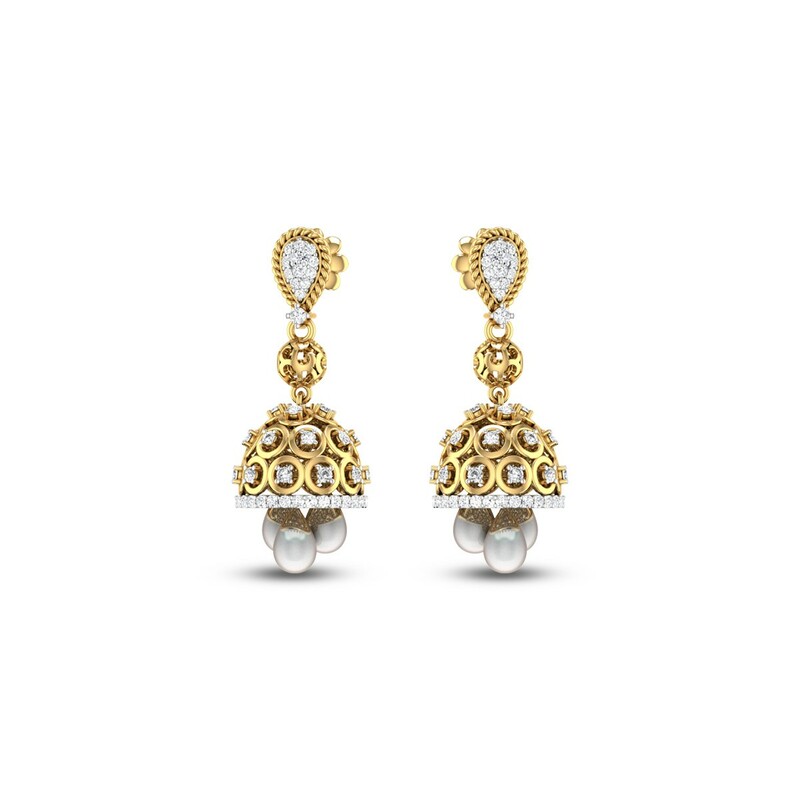 Traditional jhumkas design is inspired by nature elements like floral design or temple design with golden drops or pearl drops. 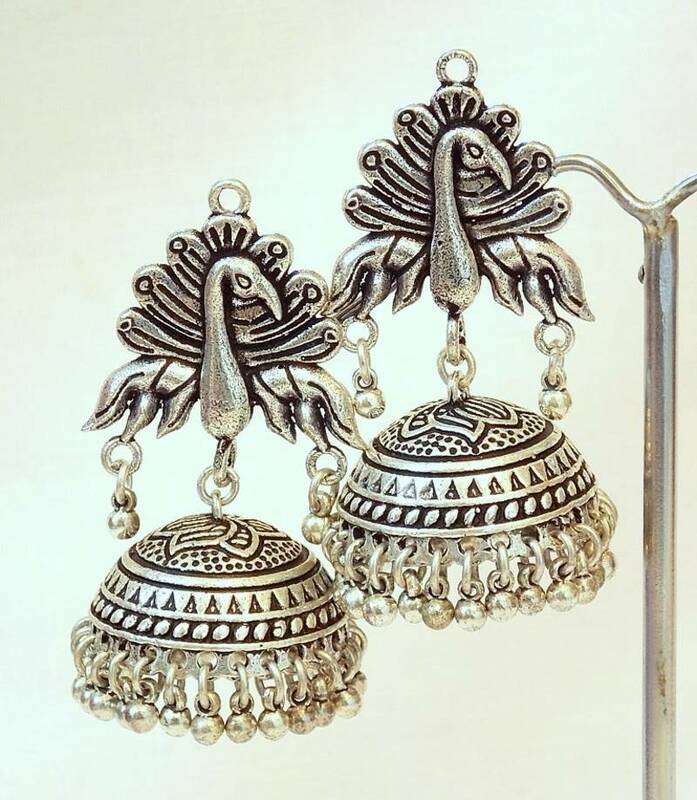 Silver oxide jhumkas are popularly known as Gujarati style jhumkas. They are widely used by women during Navaratri festival combined with ghagra-choli. Adornment of these jhumkis adds extra resplendence to typical gujju’s look. 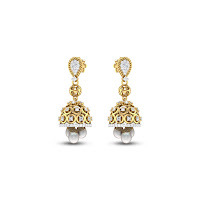 Diamond jhumkas are perfect for the modern girls who are not interested in the classic gold tone jhumkas. It adds a glamorous touch to wearer. 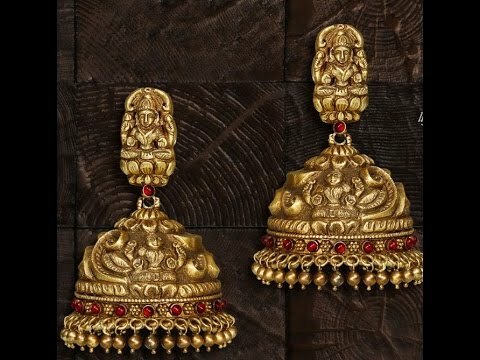 These modern jhumkas are perfect to team with designer costumes. Pearl jhumkas are the best option to team with traditional attires we can say that traditional appearance is incomplete without it. 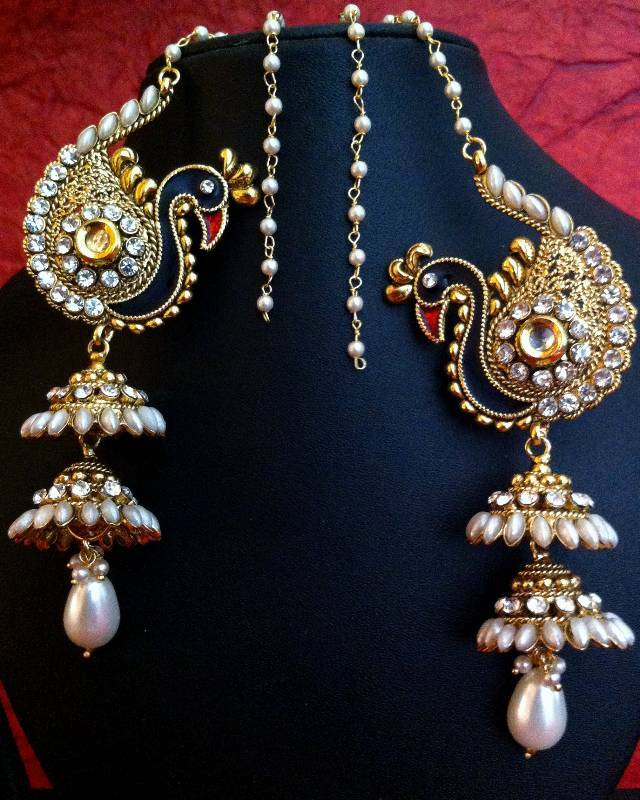 This type of jhumkas is right option to get that chic, classic & elegant look. Kundan jhumkas are well-known in Rajasthan for its marvellous design, look & spark, but now days we can see the craze for kundan jhumkas all over the India. 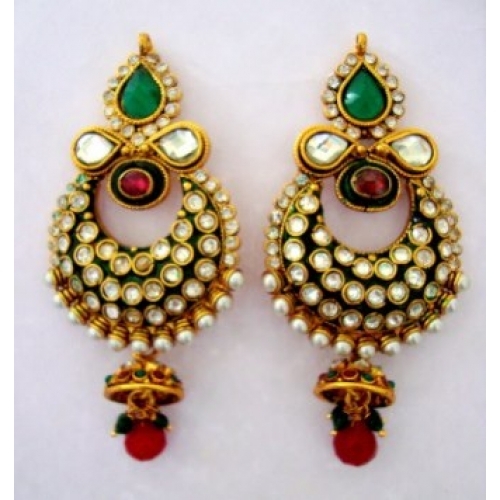 Jhumkas are beautifully embedded with sparkling kundan. 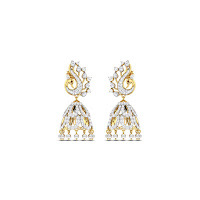 These types of earrings are perfect to club with designer outfits. 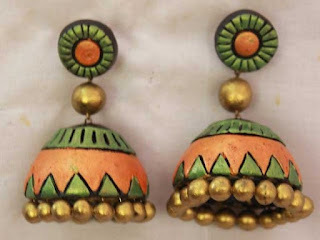 Terracotta jhumkis are earthen baked clay handmade earrings. Designs of terracotta jhumkas are inspired by nature, animals, plants, leaves, flowers, tribal Gods or more stylish look can be given by using different shapes. Terracotta jhumka earrings are crafted from natural earthen clay so they are skin-friendly. These Jhumkas are very popular in Rajasthan, Jaipur. Meenakari Jhumkas looks very colourful and mostly they are designed in peacock or paisley pattern. This looks great with colourful attire for wedding and parties. 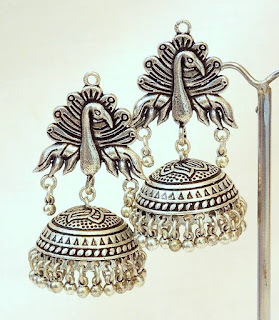 Kashmiri jhumkas are long earrings studded with precious stones and pearls are studded in the long chain. On wearing these regal Kashmiri jhumkas, you need wear the long chain either behind your ear or need to pin it with your hair. 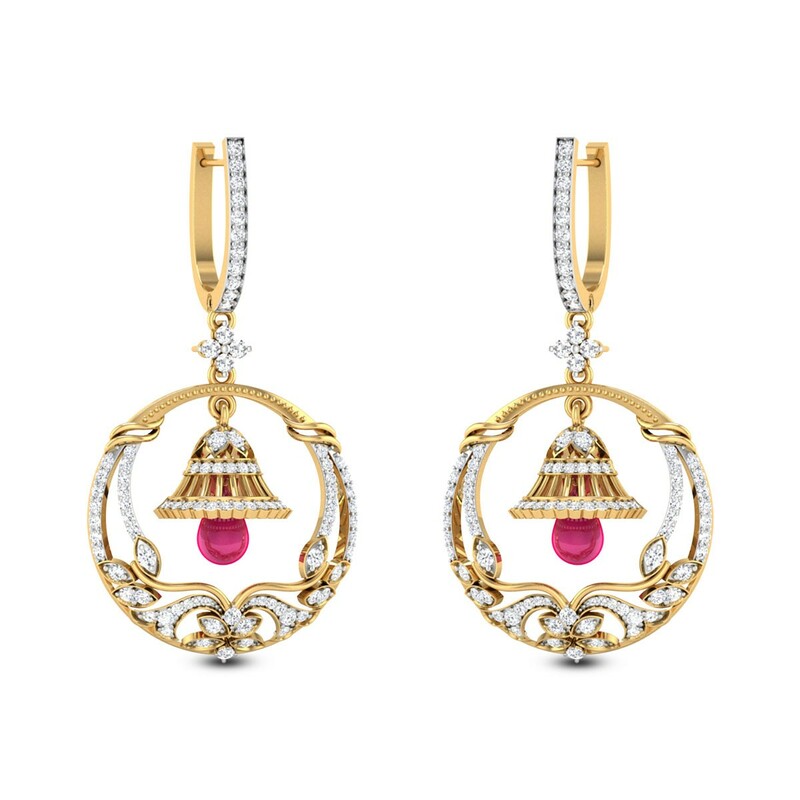 These earrings will definitely make you look outstanding on festive event. 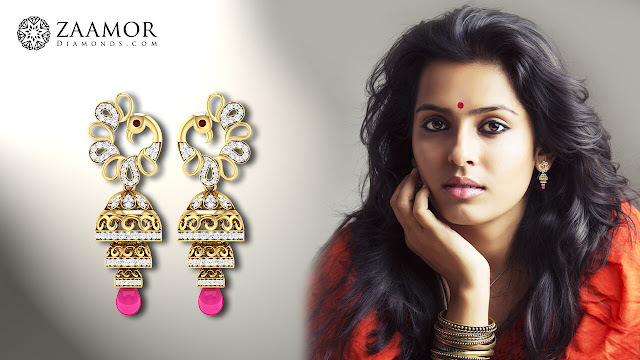 Ear-cuffs styled along with jhumkas are known as ear-cuffs jhumkis. Wide range of design is available in ear-cuffs jhumkas but peacock inspired jhumkas are best among all ear-cuff jhumkas. 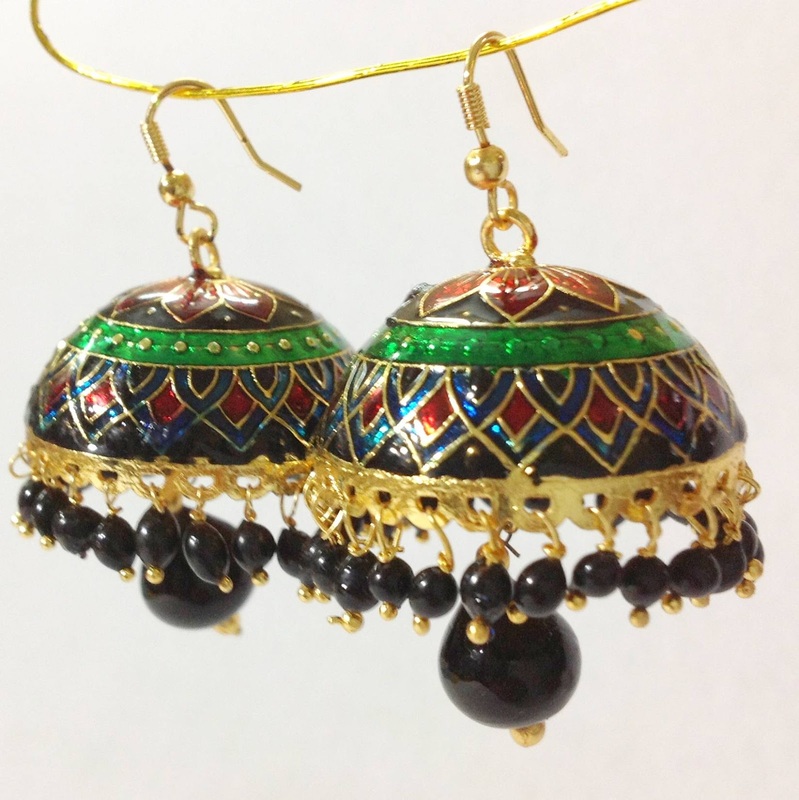 There are still many more jhumkas which include Full kann jhumkas and many more. Select your style and pair it with right attire and make a stunning appearance in the next social gathering. So, which type of jhumkas you are going to add in your jewellery collection? June Birthstone: Pearls! Pearls! Pearls! It’s a Party time! What’s your style?